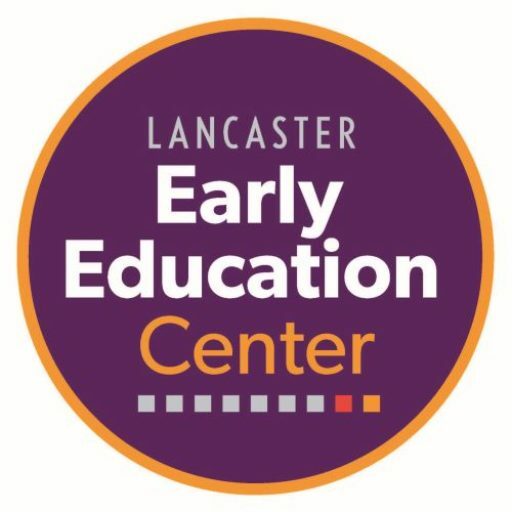 Lancaster Early Education Center uses the Creative Curriculum for Infants, Toddlers and Twos and the Creative Curriculum for Preschool. The Creative Curriculum is aligned with the Pennsylvania Early Learning Standards for Infants and Toddlers and Pre-Kindergarten. In addition, the curriculum supports our belief that children learn best through play. We create intentional, individualized learning experiences designed for each child in the program. Teachers use children’s interests to create meaningful curriculum, using engaging instruction and stimulating materials. Developmentally Appropriate Practices, the recommended guidelines of the National Association for the Education of Young Children (NAEYC), provides the policy framework for all program planning. Each classroom incorporates either the Pennsylvania Department of Education’s Preschool Early Learning Standards or the Infant and Toddler Learning Standards in curriculum planning and child assessment. Our program is designed on the premise that providing children with an environment rich in experiences and choices encourages self-reliance, self-worth, and self-confidence. We believe that children learn best through play which is self-directed and which provides activities and routines that enhance their growth and development. Lancaster Early Education Center’s Pre-K Counts (PKC) is designed for children who are 4 years old before the start of the academic school year. PKC is a Department of Education funded classroom for children who meet the guidelines for income, language, or are considered “at-risk” for school failure. This classroom operates for 180 days during the school year, for 5 hours daily based on the School District of Lancaster School calendar. The program furnishes activities that enhance each child’s growth and development in a positive manner. Pennsylvania’s Early Learning Standards (ELS) are used in curriculum development. The Creative Curriculum provides the framework for individualizing curriculum for each child. Click here to Apply Now! Positive Behavior Support (PBS) is a highly effective prevention approach for addressing challenging behavior. Based on the teaching pyramid, the development of relationships is at the core of the teaching pyramid model. The fostering of positive, reciprocal relationships with children and their families is absolutely essential. These relationships serve as the foundation for all interactions, support, and teaching opportunities. Project: Parent Alliance is a comprehensive parenting program for all parents with children enrolled at Lancaster Early Education Center (LEEC), including parents whose children are enrolled through our partnership with local homeless shelters and early intervention programs. Project: Parent Alliance is strength based and individualized to meet the unique needs of each family while affirming parents as primary educators and advocates for their children. Project: Parent Alliance promotes parent participation, involvement, and leadership. It values families and the role of the parents. Our parenting program works to correct parents’ negative interpretations of children’s behavior, provides developmental information, has a problem-solving focus, provides for active participation and includes both individual and group components. Overall, the purpose of Project: Parent Alliance is to provide effective, successful parenting programs in a familiar environment where parents feel comfortable and their cultural differences are recognized. Program activities include parent education classes based on the Positive Behavior Support Model (PBS). PBS is a comprehensive approach to challenging behaviors which requires parent education, participation and engagement. Mentoring and modeling are available for all parents depending on individual needs. Parent leadership opportunities are offered through our Parents Inc. program which also includes an advocacy component. Parents Inc. is another component of Project: Parent Alliance. Parents Inc. consist of a group of parent volunteers that meet regularly at the Center from September through June. Parents Inc. plans fund raising events, educational workshops, and social activities for the Center. Ready, Set, Read is a comprehensive program to encourage parents to read to their children and to use literacy rich materials in the home. A series of parent/child interactive workshops are conducted as part of the program.